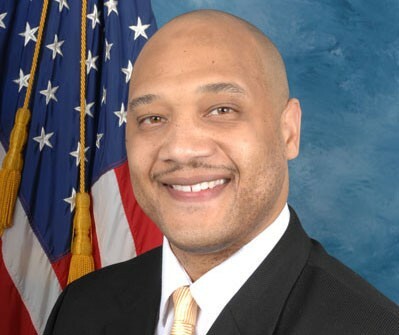 INDIANAPOLIS, SEPT 8 : In view of declining of issuance of teaching licenses in Indiana, Congressman Andre Carson from the 7th District of Indiana has recently introduced a bill in the House of Representatives that provides states with the ability to more freely recruit teachers from other states in times of shortage. This bi-partisan bill would authorize the Secretary of Education to work with an outside entity to create an interstate teacher licensing program that allows eligible teachers the flexibility of transferring their licenses between states. Nothing in the bill requires a state to participate, but those that do would be better able to meet the demands for qualified teachers in their schools, says Mr Andre Carson. “A good teacher opens doors, inspires curiosity and positively affects a child’s life forever. However, many schools in Indiana and across the country are having trouble hiring enough teachers as the new school year begins, ” said the Congressman. “In fact, over the last seven years, the number of teaching licenses issued in Indiana has declined by 33 per cent,” disclosed Mr Carson. At a time when we must work together to ensure that all students have access to a quality education, this is a simple step in the right direction. “I also want to remind that September is National Preparedness Month. This month should serve as an important reminder for all Americans to be ready for potential emergencies by preparing and planning for possible risks. I encourage all Hoosiers to mark National Preparedness Month by staying informed, planning ahead and being prepared. By working together, we can become stronger, more resilient and save lives the next time a disaster strikes,” said Mr Carson. The Federal Emergency Management Agency (FEMA) offers information and resources to learn more about protecting lives, property, and communities before and during potential disasters.